With Anzac Day (25 April) fast approaching, there will be many stories about New Zealand’s military past coming to light in the media. Here are some examples of linen produced during World War II. These have been found at various second-hand shops. I would love to add more items to the collection but with the huge interest in our military past, I’m finding it not so easy to source items in charity shops. 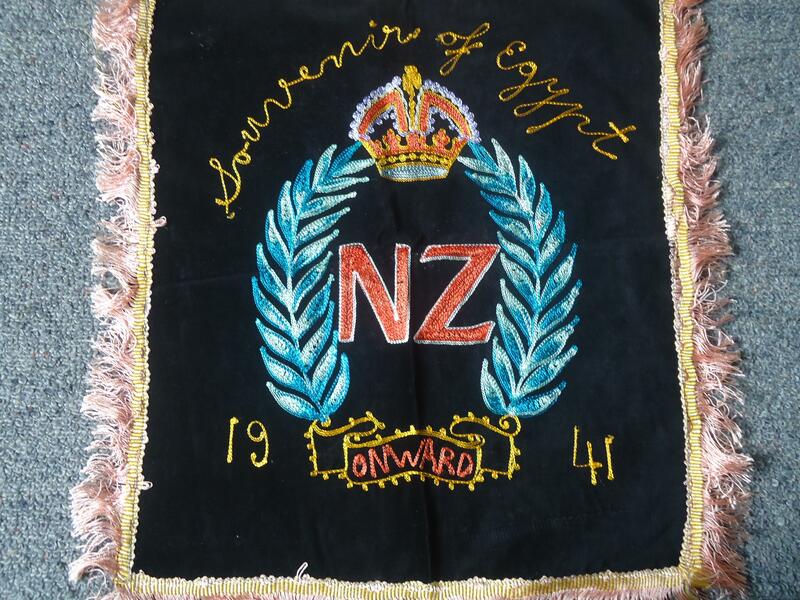 The first piece featuring embroidery on black velvet is not in the best condition. It used to be displayed on a table but unfortunately quickly faded. Have now learnt to take far better care of historic items. Features a message ‘with love from Arthur’ – I wonder and hope that Arthur survived the war! The second example also features scenes of the Middle East with its exotic pyramids and camels on display. 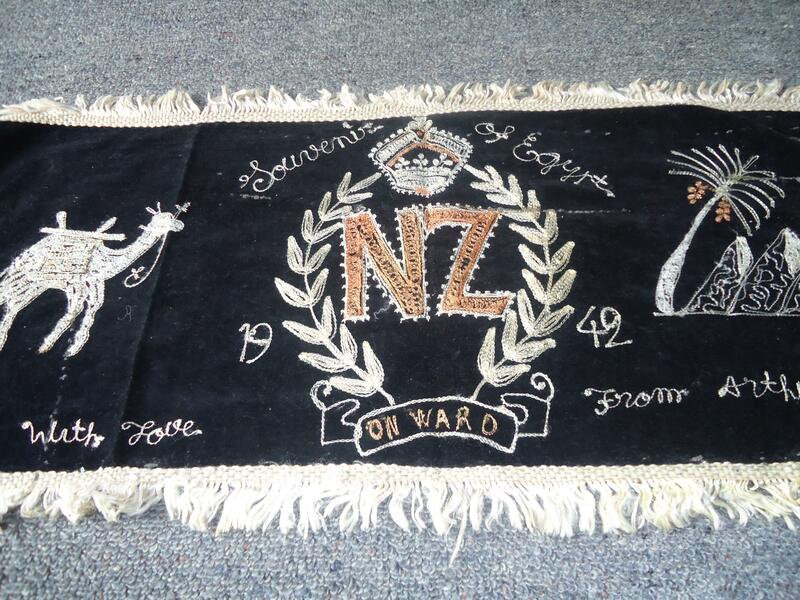 Here’s another souvenir of Egypt dated 1941 – makes you wonder how these items were treated on their return. Were these souvenirs proudly displayed or instead carefully placed into cupboards for safekeeping? 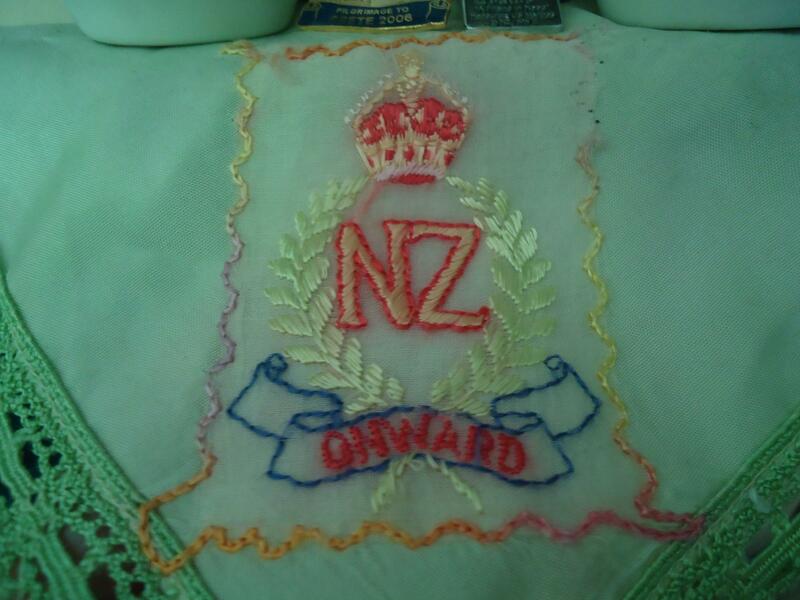 The following is a green silk handkerchief which featues the Second New Zealand Expeditionary Force logo. 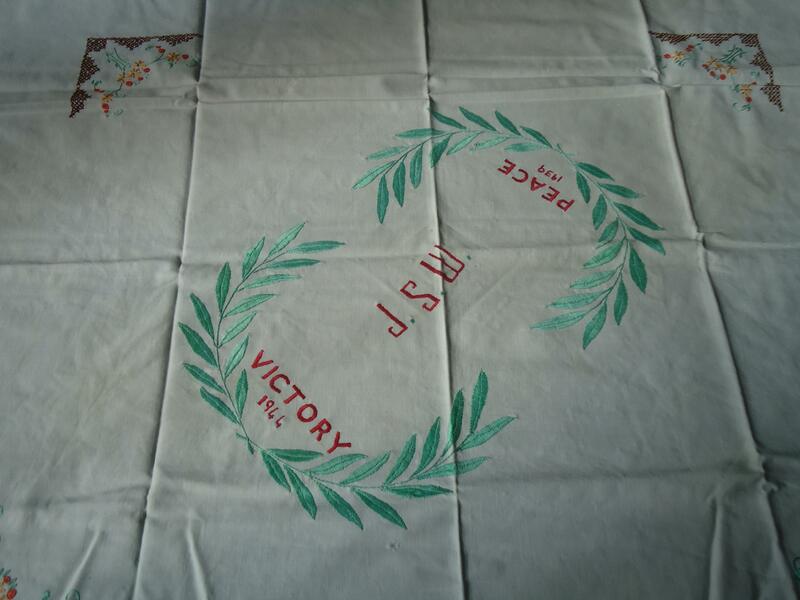 The final item is a tablecloth picked up at a fair a few years. I’m intrigued by the dates showing ‘victory and 1944’. The Second War World officially ended in 1945 but perhaps the soldier’s campaign had ended earlier in 1944. Features the initials of J.S.W. in between peace and victory. Lovely! 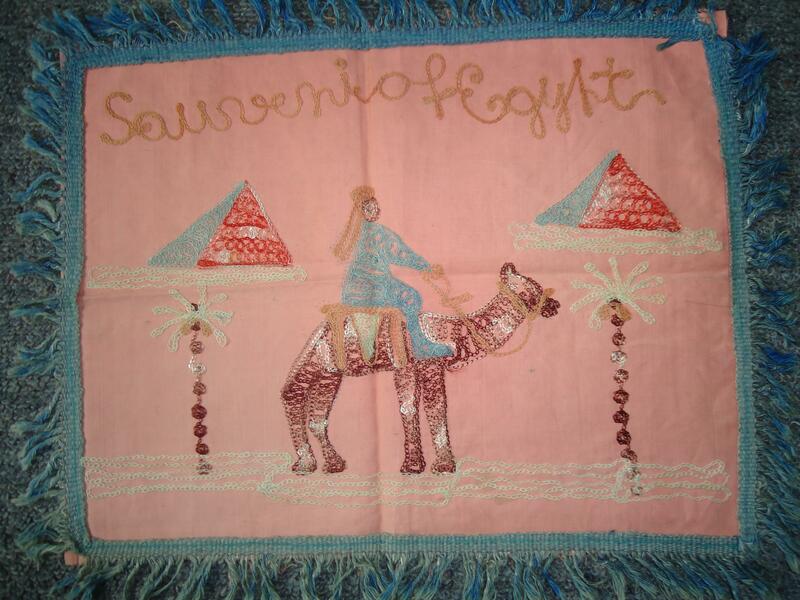 I’ve always been intrigued by those embroidered souvenirs from Egypt. Presumably they were made and sold to servicemen in Egypt – and may have been customisable, hence the ‘Arthur’ on the first one. I am so glad that I signed up for emails about new posts! I work in a childcare centre and we are ‘doing’ Anzac Day next week so I will print out the pictures from this lovely post and share it with the children so they can see some of ways our service people and their families remembered tours of duty during war. Thanks for your comments – lovely to hear that this posting is of some interest. It makes a nice change to consider other aspects of our military past by remembering it through the domestic front.